2017 has been been a quiet year on the domestic airline front. Airwork's Fairchild Metro 23s were withdrawn from service. ZK-POE flew the last flight for NZ Post (Express Couriers) on Thursday the 19th of January as POST91/92 from Auckland to Palmerston North and return. 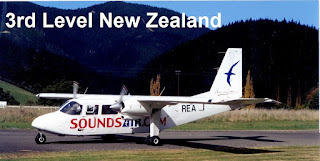 Both Metro 23s were sold to Air Chathams late in the year. 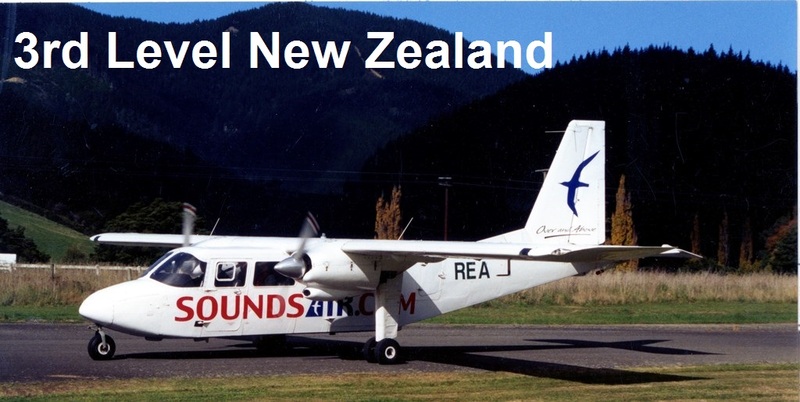 Air Milford commenced a scheduled weekly flight between Queenstown and Te Anau's Manapouri Airport. The first flight was flown by Antony Sproull in Cessna Caravan ZK-SKA. A second Caravan, ZK-SKB, was also needed for the return flight. The summer service ended around Easter and has not been picked up for the 2017/2018 summer. 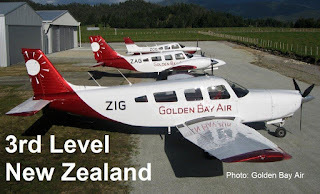 Air Chathams purchase a second ex Air Freight (NZ) Convair 580 freighter, ZK-KFH, to join ZK-KFL for pure freight operations. Sunair returned to Whangarei with daily flights offered to and from Great Barrier Island and Monday to Friday services to Hamilton, Tauranga or Rotorua. Originair resumed Jetstream operations. Flights were operated are air2there on behalf of Originair. Up to this point air2there had been operating Originair's flights with their own aircraft. The Civil Aviation Authority grounded Sunair. The airline remains grounded. From what I have managed to glean Sunair have been really hard done by. Authority, in whatever field, always needs to be exercised wisely and well. Again, in whatever field, if Authority does not "work with" people or companies, constructively and realistically it becomes about power. That's how breakdown in communication happens. When that happens it is not good for safety or viability. 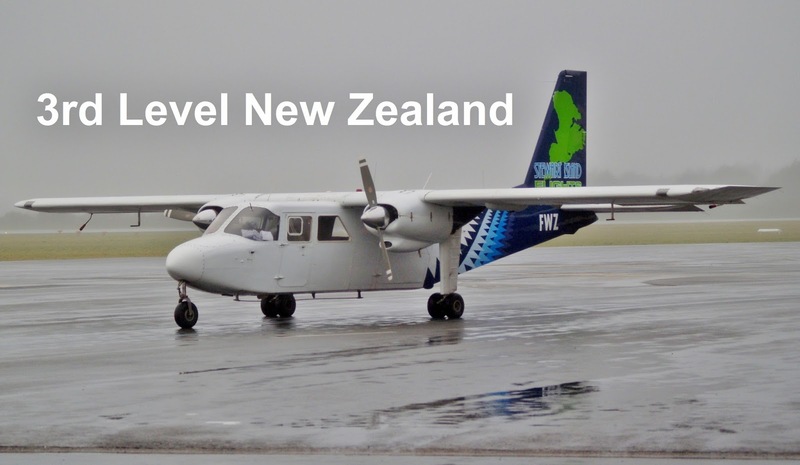 Originair commenced flights between Nelson and New Plymouth. The airline operates four flights a week between the two centres. Air Chathams announced the purchase of two Saab 340s. 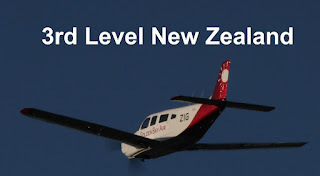 The 3rd Level NZ blog clocked over a million hits. Thanks to all who have supported the blog in providing photos, info, comments, encouragement and by following the blog. Sounds Air ends its Blenheim to Kaikoura service after the reopening of State Highway One north of Kaikoura. 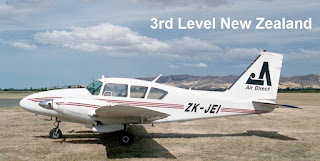 Whakatane Airport will have an extended safety area of its runway from its current 90 metres to 250m, following a Supreme Court ruling on the safety areas required at major airports in New Zealand. The ruling has impacted Air Chathams’ flights from the airport. The airline was forced to suspend flights from Whakatane by two of its larger aircraft –its 50-seater Convair and its 34-seater Saab – following an Appeal Court ruling in June regarding the safety area, also known as a RESA, of Wellington Airport. 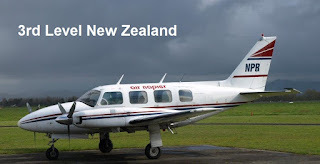 Air Chathams currently operates its 18-seat Metroliner and DC3 craft, which carries 28 passengers. The airline flies about 26,000 passengers a year. Whakatane Mayor Tony Bonne said the Ministry of Transport was a 50 percent shareholder of the airport and the council had applied to it to share the costs of the extension. “We already have a business plan in place and getting the ministry’s approval of the plan will be even easier now that the court has upheld the ruling,” he said. Mr Bonne said the extension would cost $250,000. It would be built on council-owned land, but the council would have to work with leaseholders who are using it for grazing. 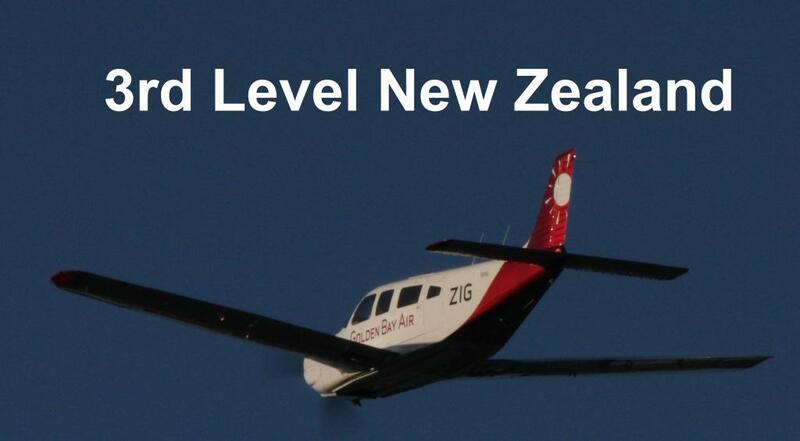 “It will affect airports around New Zealand. A number of airports will have to extend their runways. It is not a major safety issue, but it is an extra safety feature the court has seen fit to impose.” Mr Bonne said the council expected the work to be completed early next year. Earlier this year, the Court of Appeal ruled that airports require a 240m runway safety area if they operate craft carrying more than 30 passengers. Most regional airports have a 90m safety area. The decision was appealed against by Wellington International Airport, the NZ Airports Association and the Civil Aviation Authority. The New Zealand Air Line Pilots Association has welcomed the Appeal Court ruling. The association successfully argued that the Court of Appeal’s decision was correctly decided, and that the appeal should be dismissed. Most aircraft accidents occur during landing and take-off. These include incidents where the aircraft “undershoots” (lands or takes-off short of) or “overruns” the end of the runway, said association president and international pilot Tim Robinson. “The risk of such an incident can be likened to the chance of a severe earthquake. Although the likelihood of an ‘undershoot’ or overrun is low when compared to the total volume of air traffic, the consequences can be catastrophic,” he said. The original decision made by the Court of Appeal considered evidence that a landing overrun incident at Wellington Airport would likely result in the death of all on board. “International aviation authorities including the International Civil Aviation Organisation, the Federal Bureau of Air Safety, the Flight Safety Foundation, and other organisations in the UK and EU say that one critical safety measure to mitigate the risk of an overrun or undershoot incident is to provide a RESA of suitable length.” RESAs must be a cleared and graded area but do not have to be constructed to the same specifications as a runway. 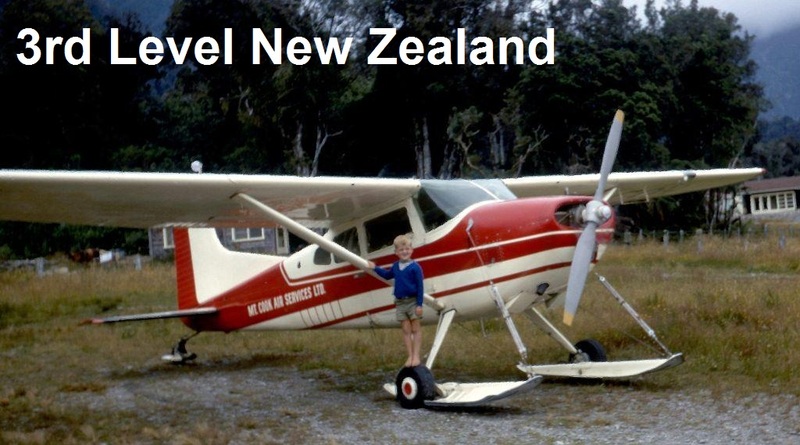 Air Chathams general manager Duane Emeny could not be reached at the time of going to press. From what I understand the RESA requirements differ for charter flights and scheduled flights. From what I have heard the DC-3 can operate charter or scenic flights from Whakatane but not scheduled flights. Someone may be able to confirm this is correct or not.